Caveman 1.0 - massive update, finally! Discussion in 'Pre-Orders, Soft Launches, and Upcoming iOS Games' started by mobile1up, Jul 11, 2012. Caveman 1.0 is currently "waiting for review" - massive update. Mobile 1UP has 25 promo codes to give away; simply tweet "@mobile1up caveman 1.0 coming soon to iOS" and on approval day, we will select at random 25 winners - be sure to also post a comment here to qualify (mention your twitter handle in the reply). (5 star) This is a wonderful reincarnation of a 90's classic. 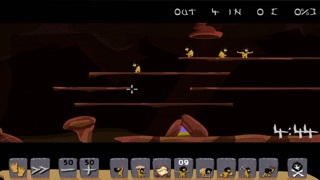 (5 star) Great re-imaging of a childhood favourite - Lemmings. 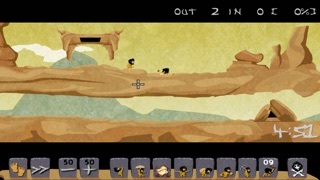 IPAD USERS - TAKE A LOOK AT "CAVEMAN_HD" AVAILABLE ON THE APP STORE --- LETS GO! ... OH NO! (or.. YIPEE!) Caveman is a game where the goal is to guide Cavemen to the exit on the level. :: GAME PLAY Cavemen enter the level through an open hatch and walk aimlessly to their death or around in circles following the path outlined - specific skills can be assigned to Cavemen to create a new path and help guide the others to the designated exit. 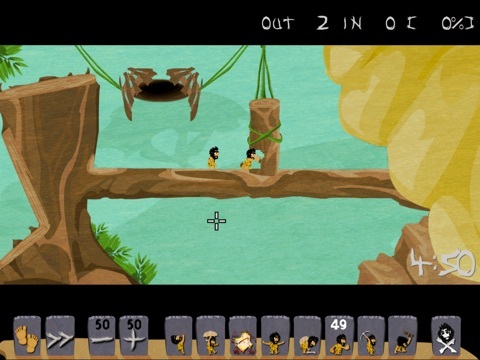 The following skill sets are available: - CLIMBER: scale those walls - FLOATER: float down to safety - EXPLODER: pop! - BLOCKER: block the path - BUILDER: build a bridge - BASHER: bash a horizontal path - MINER: mine a diagonal path - DIGGER: dig a vertical path Each level has a set of requirements to complete where a combination of skillsets may need to be used to solve the level - there is more than one solution available; how many cavemen can you save! With four difficulty levels (easy, medium, obscure, insane) and 120 levels + hidden bonus levels - this game is guaranteed to bring you hours of enjoyment and gaming addiction! :: OPTIONS A number of game play options exist to customize the game play to individual preference; assignment of tools can be via clicking on the caveman, clicking on the toolbar or both. The game resumes play on touch by default but this can be disabled under the options screen. :: SOLUTIONS Mobile 1UP has worked very hard to ensure that all levels are solvable; a complete set of solution guides for every level are available on the Mobile 1UP website (high definition video and detailed walk throughts) - of course the challenge is being able to solve them on your own! :: TIMEWARP A special "unlock feature" has been provided where unlocked levels can be accessed via a special code; in addition to revealing special secrets of the game engine (easter eggs) - a complete list of the relevant unlock codes are available on the Mobile 1UP website. Some codes change on a daily basis - so be sure to visit often to find all the goodies that are available! 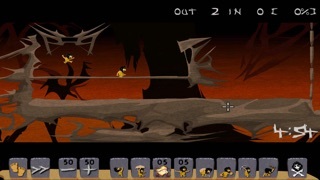 :: CREDITS Caveman is a game inspired by the classic Lemmings developed by Psygnosis released for Amiga, DOS, et al in 1991. The project started as a port of the game, but due to intellectual property concerns the game was given a new set of graphics, audio and some custom levels to bring the game genre up to the standards expected by gamers in this era. 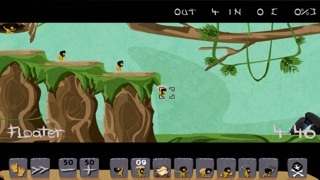 The game was developed by Aaron Ardiri, the graphics provided by Tomas Miller, and the sounds were provided by Michael McGee. on approval; the game will switch to $2.99 USD - in line with other platforms.